When it comes to depositing or withdrawing funds to or from your betting account it makes sense to have as many options as possible. Entropay is a pre-paid card that can be used as a payment method for making deposit and withdrawals. Entropay is not currently accepting new members. In this review, we reveal all the Entropay betting sites in the UK. We’ll also outline all the important facts about Entropay and explain how to use it on your mobile device. If you want to know how Entropay works, who accepts it and is it a trusted payment method, then just keep on reading! If you are looking for Entropay betting sites then check out our extensive list of online bookies that accept Entropay below. If there are any betting sites or casinos that have Entropay promo codes or Entropay promotions, you will find them on this list too. Click on any of the bookies and head straight to their site to sign up and get the Entropay bonus. Alternatively, you can check out our in-depth reviews of all Entropay betting sites. Entropay Betting Sites – A Pre-Paid Card That Helps Control Spending! Entropay is an online service that allows you to top up a pre-paid virtual Visa Card online. You can use Entropay for depositing funds to your account and for withdrawals too. Entropay is also accepted as a payment method by lots of online retailers. However, new regulations recently introduced by Visa mean that Entropay is not accepting new customers. If you have an existing Entropay account you can still use the facility for playing on Entropay betting sites. Once you top up your account you will be given a credit card number that can be used with any Entropay friendly betting sites. The best thing about Entropay is that you can only spend what you have put on the card, so it is an excellent way to control spending. A 1% fee applies to Entropay wallet top-ups, while withdrawals incur a fee of between £1.49-£7.99. Deposits are instant and withdrawals are relatively quick so if you have an Entropay account, we recommend using it! Does Entropay Offer other Options? If you have an existing Entropay account you can apply for an Entropay MasterCard plastic card that works in exactly the same way as the pre-paid Visa card. However, you can also use the Entropay MasterCard to make cash withdrawals from ATMs. This means you can access your Entropay funds instantly, wherever and whenever you need to! You can also use the Entropay plastic card in retail outlets if you wish, and it is just as easy to top up via your Entropay wallet. If your betting site accepts Entropay as a payment method then depositing funds is as simple as can be. It is exactly the same as using a Visa or MasterCard debit or credit card, as you can see from our step by step guide on how to deposit at Entropay betting sites below. Log into your Entropay account. Transfer the funds you want to spend into your Entropay wallet. Log in to your chosen Entropay betting site. Click on ‘Deposit funds’ via Visa/MasterCard credit card. Enter the details of your Entropay card. Make your deposit and get your funds instantly. How Do I Top Up Entropay? There are a few options available for topping up your Entropay account and again, it is a simple process. You can top up via credit or debit card, while you can also use bank transfers. Bank transfers take 2-7 days to appear in your wallet, while all other top-up methods are instant. Another cool feature is that Entropay users can transfer funds between their existing cards/wallets if they wish. You should read our guide on how to top up your Entropay wallet below. Log in to your Entropay account. On the dashboard choose ‘View Cards’ or alternatively ‘Cards’ from the top menu bar. Select the card you wish to top up and click ‘Top Up Card’. Choose the method you want to use (credit/debit card, bank transfer or other Entropay Card. Follow the instructions shown on screen to top up your account. There are lots of advantages to using Entropay for betting sites and casinos, as you can see from the list below. No betting activity visible on your credit/debit card or bank account. Very safe and secure way to spend money online. The very latest Secure Socket Layer (SSL) encryption technology is used. Access cash instantly via ATMs with Entropay MasterCard plastic card. Good way to control online spending. Widely accepted by online betting and casino sites. Just to expand on a couple of the above points, we think the first one is very important for anyone thinking of applying for a loan or mortgage as gambling is often frowned upon by plenty of financial institutions. As for controlling spending, you can only use the funds available on your card and we think this helps to encourage responsible gambling. No new customers are being accepted. 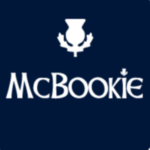 Fees are applied to deposits (1%) and withdrawals (£1.49-£7.99). Can I Withdraw with Entropay? Yes, you can withdraw using Entropay with the majority of betting sites. It is just the same as withdrawing using a Visa or MasterCard credit or debit card. However, if you are withdrawing funds from your Entropay wallet to your bank or credit/debit card a fee of between £1.49-£7.99 will apply. UK punters have a massive amount of betting sites to choose from. Finding Entropay betting sites isn’t difficult as it is a widely accepted payment method in the industry. 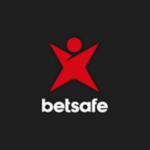 Most bookies will allow Entropay deposits to be used for welcome bonus offers, whereas Paysafecard, Neteller, and Skrill are usually excluded. The big plus associated with using Entropay for your betting is that your transactions will not show up on your personal bank account. Most financial institutions do not look favourably upon awarding credit to customers with betting transactions on their account, but when you use Entropay you won’t need to worry. If you are searching for an Entropay friendly Casino with NetEnt software then you won’t need to look far. There are a huge amount of online casinos that use NetEnt software and plenty accept Entropay as a payment method. 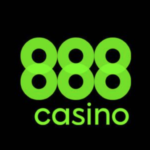 888Casino is well established and they have some excellent welcome offers that require 888Casino promo codes. You can find all 888Casino promo codes on our dedicated 88Casino bonus codes review page. You can win big by playing NetEnt games like Starburst, Hook’s Heroes, Blood Suckers and a whole lot more. 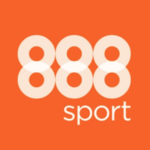 888Casino is a quality Entropay betting site and with some massive jackpots to be won, we think they are well worth checking out. Enter the 888Casino Promo Code when registering |Receive up to £1500 matched over first 5 deposits as a welcome bonus | Terms & Conditions Apply. New 18+ players only. Minimum deposit is £20. 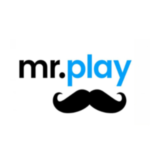 Must use code Welcome1 on 1st deposit. 1st deposit is an immediate 100% bonus up to £100. 2nd to 5th deposits must be completed and wagered 3 times within 7 days of the very 1st deposit to be eligible for 30% up to £350 bonus per deposit, totalling £1500. Bonus winnings capped at £500. You must wager the bonus amount 30x within 90 days in order to withdraw the bonus. Wagering contributions apply per game. Only one new customer promo per person. Bonuses expire 90 days after being granted. Full T&C’s apply - Gamble Responsibly - begambleaware.org. Must use code Welcome1 on 1st deposit. 1st deposit is an immediate 100% bonus up to £100. 2nd to 5th deposits must be completed and wagered 3 times within 7 days of the very 1st deposit to be eligible for 30% up to £350 bonus per deposit, totalling £1500. Bonus winnings capped at £500. You must wager the bonus amount 30x within 90 days in order to withdraw the bonus. Wagering contributions apply per game. Only one new customer promo per person. Bonuses expire 90 days after being granted. A vast number of betting sites and casinos use Microgaming software so it is not an easy task picking the best Entropay casino with Microgaming software. 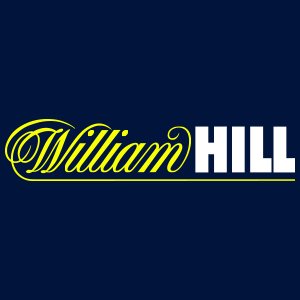 Some of the biggest names in betting use Microgaming software, including William Hill. 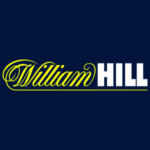 If you sign up with William Hill you can use Entropay to make deposits and withdrawals and the William Hill Casino welcome bonus is definitely worth taking advantage of. You can play Burning Desire with William Hill Casino and if you get lucky you could win a jackpot of up to £93,000!! 18+. UK New Customers to casino page only. Opt-in required. Min Buy-in is £10. Bonus value = 100% of first Buy-in up to £300. Wagering requirements of 40x bonus amount. Bonus expires 7 days after the date of issue. Game weighting applies on wagering. Currency and game restrictions also apply. Full T&C’s apply – Gamble Responsibly – begambleaware.org. 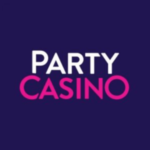 UK New Customers to casino page only. Bonus value = 100% of first Buy-in up to £300. Wagering requirements of 40x bonus amount. Bonus expires 7 days after the date of issue. Game weighting applies on wagering. Currency and game restrictions also apply. Are there Bespoke Entropay Bonus Codes Available? When we were writing this review we couldn’t find any signup offers or promotions specifically aimed at Entropay users. We couldn’t find any Entropay betting site promo codes either. 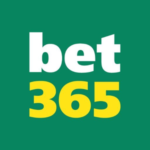 One thing to note is that if you are signing up with a new betting site sometimes certain payment methods are not accepted for signup bonus offers. However, if you use Entropay you will qualify for welcome promos with the majority of online casinos and bookmakers. So, if you use Entropay you won’t miss out on any cool sign up promos or specials for existing customers. Should you Trust Entropay Betting Sites and Casinos? As far as we are concerned, you can definitely trust Entropay betting sites and casinos. Using Entropay is basically the exact same as using a credit or debit card, except it isn’t linked directly to your bank account or credit card. Once your chosen bookie holds a valid UK licence and maintains decent safety standards that comply with GDPR then we think there should be no safety issues when you use Entropay. The fact that your Entropay card is not linked directly to your bank/credit card makes it a very safe way to spend money online. It is a pity that they are not accepting new customers, but if you already have an Entropay card you should keep on using it. Are their Fees Associated with Entropay? Yes, there are fees associated with Entropay but for deposits they are minimal. Entropay only charge UK customers a 1% fee for depositing funds to your wallet. A fee of between £1.49-£7.99 will be applied to withdrawals. Some banks or financial institutions may apply other charges, please check the relevant terms and conditions. 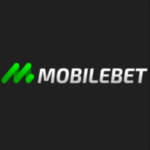 If you like to bet or play games on your mobile browser you will be happy to know that you can use Entropay betting sites and casinos. As Entropay is more or less the same as using a credit/debit card, you can use it to deposit or withdraw funds on mobile. You can use the Entropay web app to add funds to your Entropay wallet and you can also use it to transfer funds to your bank account too. If you like to bet or play on the move, then Entropay has got you covered. Are there any Entropay Alternatives for Betting Sites? The amount of alternatives to Entropay varies depending on the bookmaker or casino. Most Entropay betting sites will accept Visa and MasterCard credit or debit cards, while bank transfers are widely accepted too. Many Entropay betting sites also accept payments from various e-wallets like PayPal, Neteller, and Skrill as well as pre-paid cards like Paysafecard. However, you may not qualify for certain bonus offers if you use the above payment methods so check the terms and conditions if you are going to use them. We always think it is a big positive if a bookmaker accepts PayPal. It is quick, easy and minimal fees apply. If you can’t use Entropay, PayPal is an excellent alternative. What are the Maximum Deposits you can make using Entropay? The maximum deposit you can make depends on the betting site and also on your Entropay account level. Entropay is a pre-paid card so you can only spend whatever funds are loaded on the card. It is a useful way to control spending on Entropay betting sites. Can I Withdraw my Winnings to Entropay? 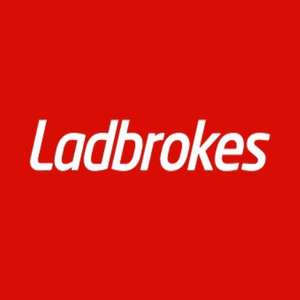 Yes, most bookies will allow you to withdraw winnings to your Entropay wallet. There is no fee for withdrawing money to your wallet, but if you are transferring money to your debit/credit card or bank account from your Entropay wallet a fee will apply. How do I Use Entropay Betting Sites? You can only use Entropay betting sites that accept Entropay as a valid payment method. Using Entropay is exactly the same as using a credit or debit card. However, due to new regulations introduced by Visa, Entropay is no longer accepting new customers.